There once was a princess who lived in the dark seas. Her clan was unique and of course every mermaid has heard the tale of The Little Mermaid, which was used as a way to ebb children from going against the clans ways. As you can tell they didn’t tell the entire story but only enough to put the fear in all the mermaids in the kingdom. The princess we are following is a rather adventurous mermaid who enjoyed exploring the land and making new friends amongst other undersea creatures. She enjoyed her freedom and solitude that her father granted her. He knew that she would never stray away from the clans watchful eyes. She loved visiting all the wonderful creatures in her land. Even if she loved being alone, she still yearned for company that couldn’t be found within the mermaid clan. Like many mermaids she loved the beautiful jewelry that had been created within the clan. When she was born a special crown was created just for her to be given to her on her 18th birthday. She was now 21yrs old and she cherished the treasures the clan had made just for her. In this post I am wearing a item from a store new to me, this store is called TempT. Without the Siren Outfit I would have been able to pull off the look I wanted to create wearing the beautiful jewelry by [AZE] Jewelry Designs. 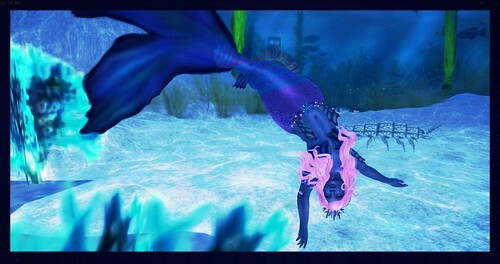 I love the attention to color on the Siren Outfit and it is one of the few mermaid outfits I have found that had a tad more modesty when it comes to covering the breasts. 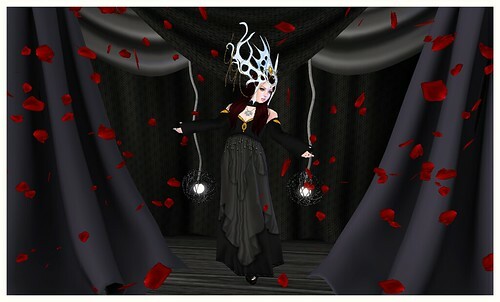 I also picked up the poses from this post from a new to me store called “Poets Heart” they had a wonderful array of outfits but when I saw that she also created poses, I purchased poses instead. TRAP is a store that is known for its fantasy/roleplay items. I have been a consistent customer of Selos Dae for years. Each year she amazes me with what she creates for each Fantasy Faire Event. 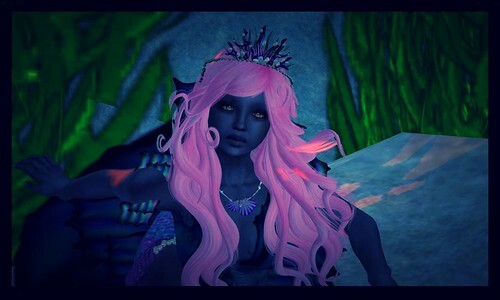 Below I am showcasing her RFL items, which are the Koi Scales Tattoos in Violet and Cyan. These are a updated version of what was available on a previous generation of skins called “Koi”. I love the artwork and how beautiful and intricate each detail within the tattoo is. There are several different versions of coverage you can choose to wear. I happen to be wearing 100% coverage, because I wanted to showcase the artwork but also keep my privates covered. 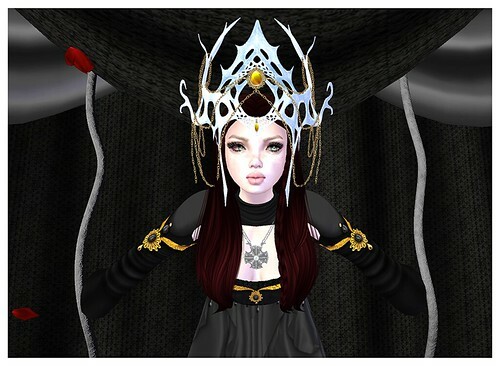 As you can see in the photos above, I am also wearing a RFL item by AZE Jewelry Designs as well as a beautiful and ornate hair accessory by Naminoke. I am also wearing the brand new Vampire Ears that TRAP launched at Fantasy Faire 2014. I wanted to do a vampire-esque post using the Vampire Ears and the Vampire Skin by TRAP. 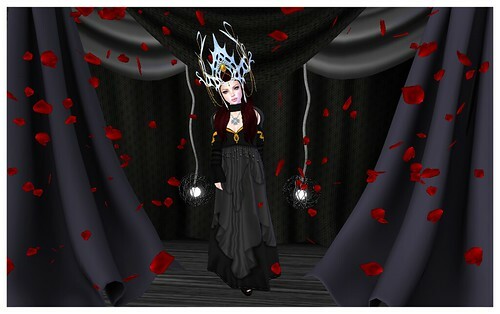 I remembered I picked up this lovely dress by Sweet Lies for 124L at Fantasy Faire 2014. I coordinated the look with more jewelry by AZE Jewelry Designs. Poses by: marukin and .ploom. Roses have been revered throughout time as a symbol of love and mystery. As I was traipsing through Fantasy Faire 2014, I noticed this beautiful maiden. She invited me into her humble abode and began to dress me as royalty. I was so ecstatic because I was only a humble servant who was never treated to such luxuries. As the day continued, she had me repeat these sayings over and over. I was unsure what she was doing but I eventually caught on. She had realized that there was something different with me, I had untapped powers that I had never knew of. My powers were drawn from nature so she began to teach me a few spells. Here I am wearing items from stores I have never heard of : .aisling. and Sweet Lies. The lovely crown was prepared by .aisling. and the beautiful dress was prepared by Sweet Lies. Using the medallion necklace from [AZE] Jewelry designs as my talisman, I was able to control my power and I surrounded myself with rose petals from nearby rose bushes. I was amazed at what I had done, and lo and behold the people of the court began bowing to me. The maiden who had pampered me had announced that I was the saviour that was foretold in legends past. I was a little taken back by the news but I knew better than to question the legends in front of the people of the court. I had also curtsied back to the people of the court as a sign of respect and also to accept their trust. Once the court was cleared, I had begun to interrogate the maiden. She showed me the books and in the books there was a drawing of a woman that looked just like me. I was mesmerized and frightened at the same time. It had turned out that I was not a person born of the era, but I was a immortal being who had forgotten my memory and in the library there were several memoirs to help me regain my memory and also to relearn the spells I had once taken for granted.